Presque Isle is very fortunate to have active and caring business members. The community is just small enough that the various organizations and civic clubs all work well together and are proactive in meeting the needs of the various population segments. Basic needs of seniors are well met in Presque Isle by organizations and programs including Aroostook Regional Transportation (ARTS), Area Agency on Aging (AAA), and Aroostook County Action Program (ACAP). Programs for older people from these organizations include but are not limited to Meals on Wheels; transportation to medical appointments, the pharmacy and grocery store as well as to social functions; home repairs; central heating improvement; homeownership support; case management services, and more. The Aroostook Medical Center (TAMC), a large regional hospital located here in Presque Isle, has four physicians on staff that specialize in geriatrics from general practice to internal medicine to hospice. In addition, the TAMC Senior Connection offers educational luncheons, free health screenings, and discounts at TAMC’s Gardenside Café. Also, additional medical services for our seniors are offered by Aroostook House of Comfort offering hospice care here in Presque Isle and the Veterans’ Home, which is only 11 miles away. Studies have shown that in order to maintain good health in our older years, we must do something cognitive, something physical and something social on a regular basis. Each of those needs are well met in Presque Isle. The United Way of Aroostook has an active RSVP program (Retired Senior Volunteers). Seniors Achieving Greater Education (SAGE), celebrating its 20th anniversary this year, is housed at the University of Maine at Presque Isle and was established to serve intellectually curious adults aged 50 and older who desire to learn more about the world and themselves in a relaxed, non-competitive atmosphere. The Mark & Emily Turner Memorial Library offers numerous programs from genealogy to free movie rental to art shows and demonstrations. In addition, the City’s beautiful new Community Center features a designated Senior Room with full commercial kitchen. The Senior Room has programming for the older population including Game Time on Mondays, Knit & Stitch on Tuesdays, a hot lunch on Tuesdays, a Music Jam on Wednesdays, Bridge games and a Balance Class on Thursdays, and Billiards on Wednesdays and Thursdays. The City has a four-mile long paved and lit designated walking trail through the heart of town and both the University of Maine at Presque Isle and Northern Maine Community College have fitness centers with memberships available for seniors. For those needing a little more assistance with food, AAA offers a Meals on Wheels program, there is a faith-based food pantry in town, and Martha & Mary’s Soup Kitchen. 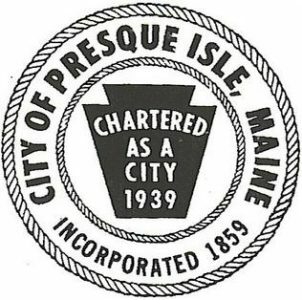 Presque Isle and its citizens diligently strive to ensure that our seniors do not have to choose between purchasing prescription medicines, heating fuel, and food. One example of a recent collaborative proactive effort by area organizations is the telethon that was held on our local television station WAGM in conjunction with ACAP and the United Way to raise additional funds for heating oil assistance.